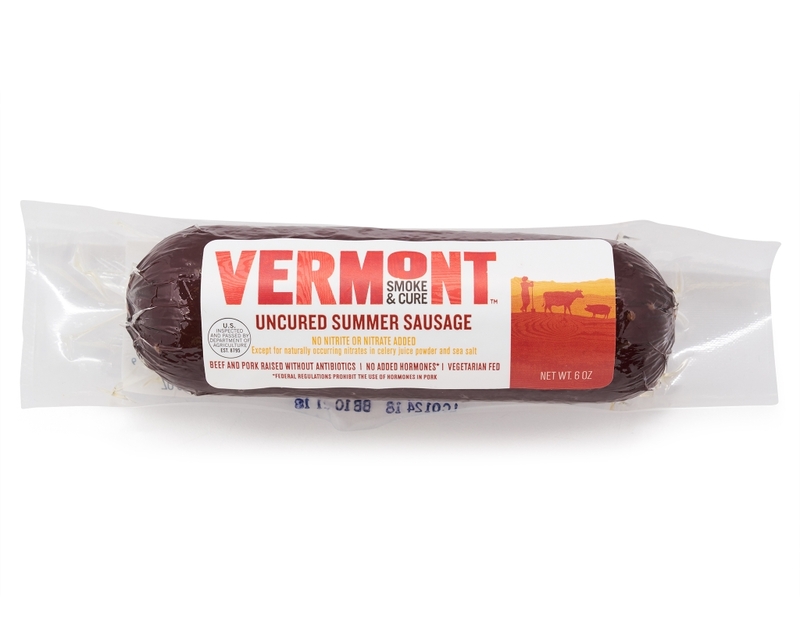 Vermont Smoke & Cure's Uncured Summer Sausage, with clean, tangy flavor from slow fermentation, made without sodium nitrite. 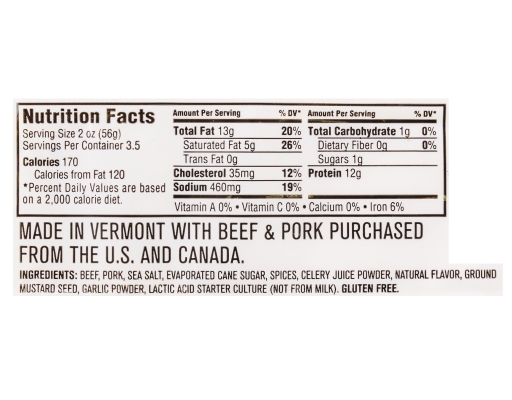 Made with beef and pork raised without antibiotics or added hormones and vegetarian fed. 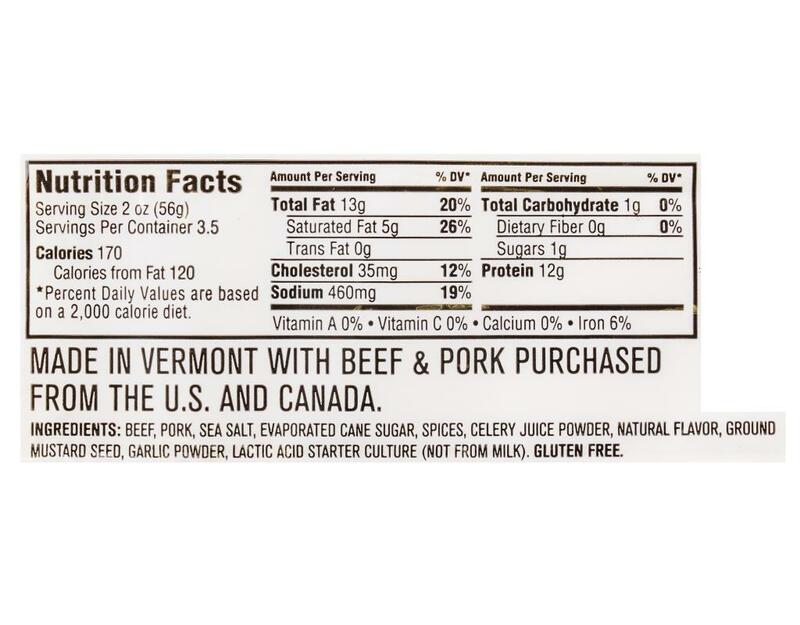 Better Meat For All. 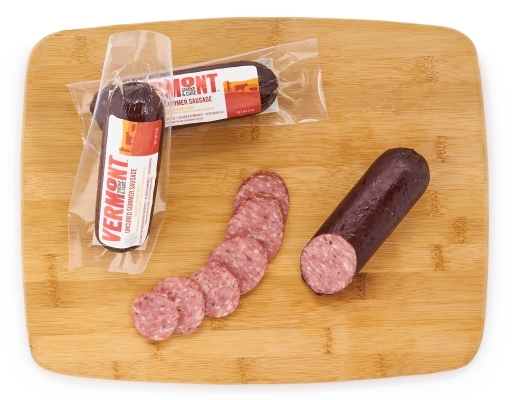 At Vermont Smoke & Cure, they’ve been consciously crafting delicious smoked meats and meat snacks since 1962. Their team of employee-owners makes everything in their Smokehouse right in the hills of Vermont. 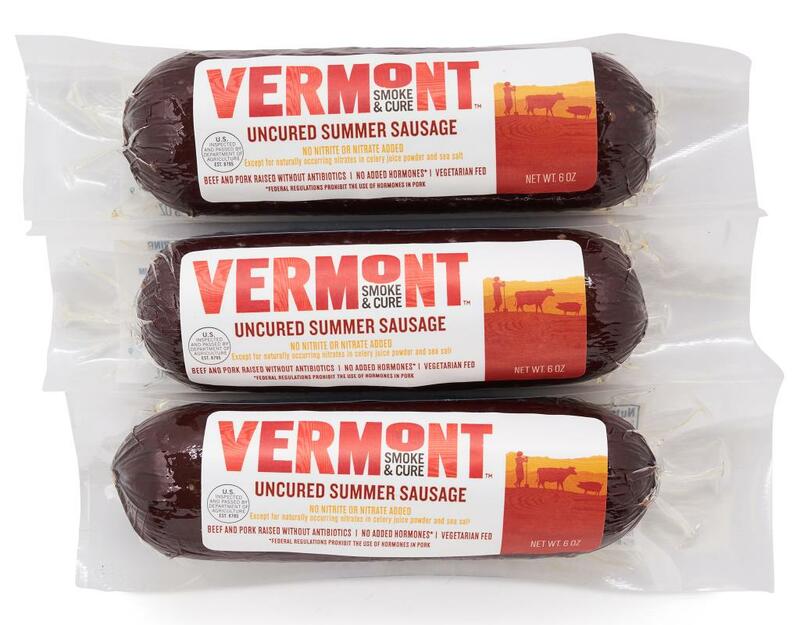 They pride themselves on being a good neighbor and partner to the local farmers. This is how they do business - and the beauty is, it all combines to create the finest flavor in every bite.